Last week found me driving around the State of Victoria for two friends weddings. That's right two weddings in the space of 5 days. One of the weddings was on the Murray River in the twin towns of Echuca Moama on the NSW/Victoria border. 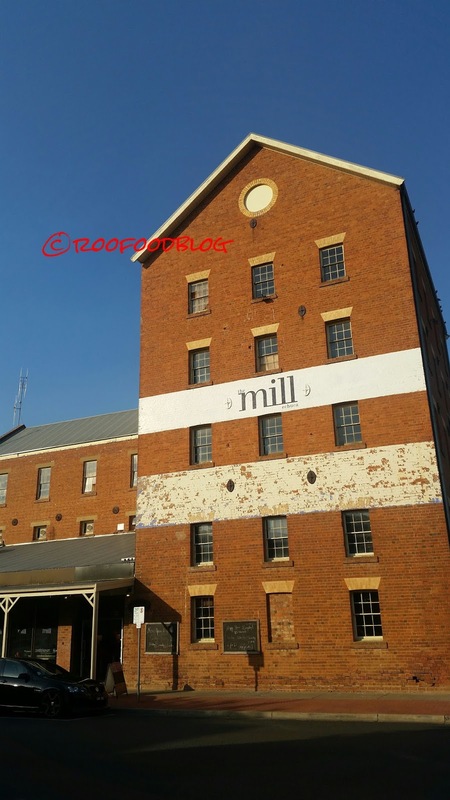 The historic town of Echuca is situated on the Murray River and the Campaspe River and the Old Port of Echuca takes you back to the early days. 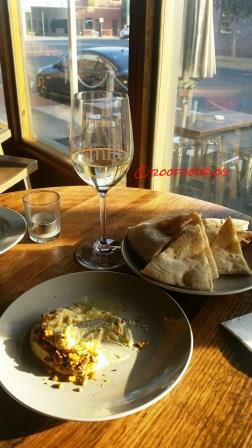 There are quite a few good dining options in Echuca and I found myself at The Mill for Happy Hour between 4-6pm on a Wednesday night. This bar is in the old flour mill. High ceilings, rustic old brick warehouse meets industrial concrete. As I am dining solo I was lucky enough to have the Chef prepare me the Chefs Share plates for one (usually for two people). Grabbed myself a lovely glass of white to enjoy while I waited. 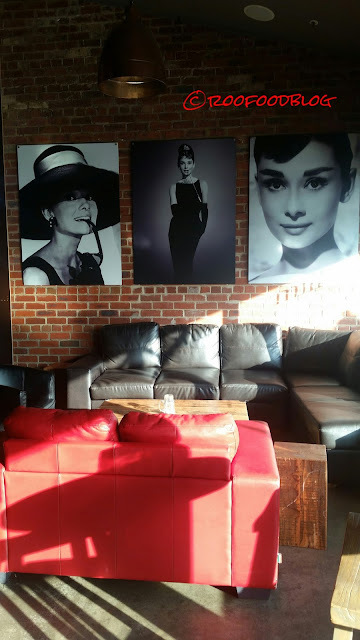 Sitting near a window and enjoying the warmth of the later afternoon sun streaming through and looking at these gorgeous prints of Audrey Hepburn. 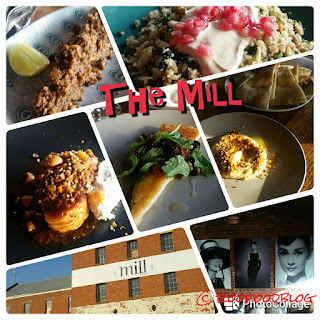 The Mill is a very laid back, casual comfy cool place to hangout! 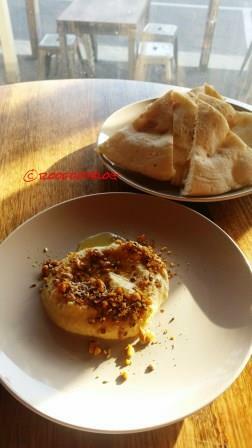 The first dish to arrive is a small plate of creamy hommus topped with a crunchy dukkah. The pita bread wedges are light and fluffy with crispy edges. 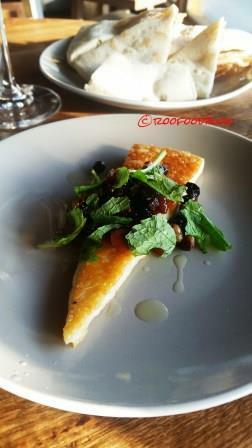 Next up was a wedge of Greek Kefalograviera cheese topped with barberries, pine nuts and mint. This was salty and squeaky and delicious. The third dish was a lovely piece of delicate poached salmon shakshuka. Glazed in a mild Middle Eastern style tomato sauce and a dollop of smoked vanilla labne. This dish was delicious. the smoked vanilla in the labne was gorgeous! Next up was a crispy Vietnamese springroll filled with a very tasty chicken and prawn filling with a Vietnamese dressing. Sadly I forgot to take a photo of this! I really enjoy a good springroll and these were up there! By the next plate, and another glass of wine down, I am struggling but solider through. 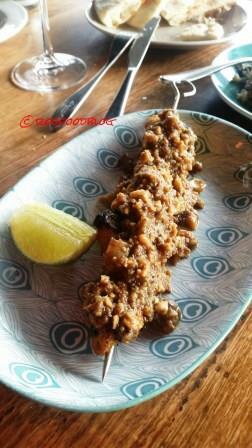 The next dish a Thai BBQ satay skewer. The chicken is charred but tender and the peanut sauce hugs it like some love. It’s delicious. 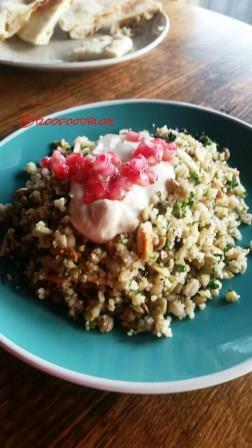 I end the meal with a lovely little 3 grain salad, topped with yoghurt and pomegranate seeds. I only take taste a couple of tablespoons. Although lovely I am at my limit. If you are ever in the area, I can highly recommend a visit to The Mill. 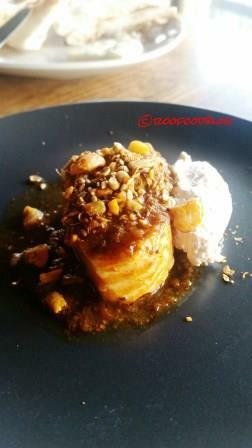 The Chef has designed a versatile and unique menu in this town and it packs global flavours. Of course, Happy Hour is one of the best deals around! Their in-house catering is remarkable. 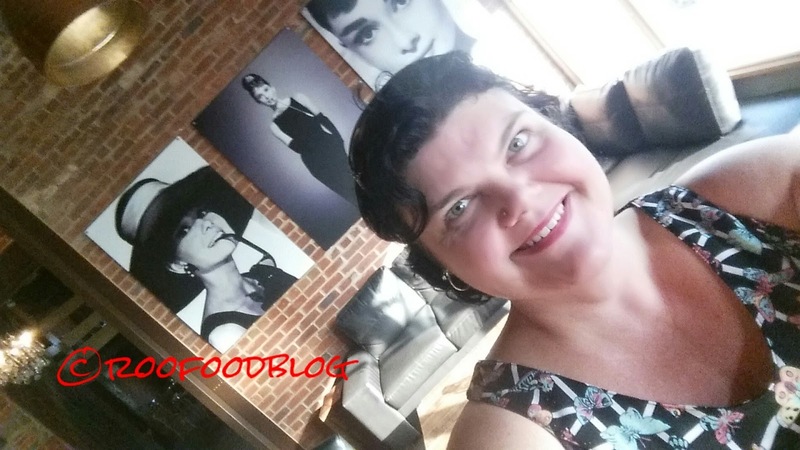 The food at Los Angeles wedding venues was delicious. So many of our guests (including and especially the foodies) have told us it was the best food they'd ever had at a wedding. The service too was impeccable but not overly formal.